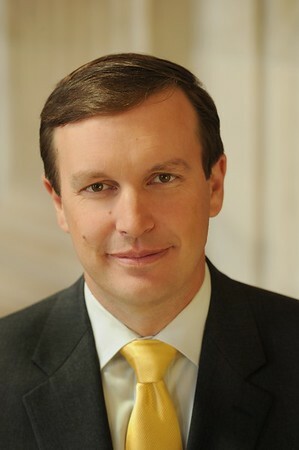 NEW BRITAIN - U.S. Sen. Chris Murphy recently praised the passage of the Department of Defense and Labor, Health and Human Services and Education spending bill. This legislation carries funding through Dec. 7. Murphy worked to ensure support for the local manufacturing industry, more accessible mental health care and the fight against the opioid epidemic. The bill includes a multiyear procurement authority for Block 5 of the Virginia class submarines built at Electric Boat in Groton, a 2.6 percent pay raise for members of the armed forces, programs from the Mental Health Reform Act, $400 million for the Senior Community Service Employment Program (SCSEP) and more. “This is a good bill - it keeps our government funded and makes critical investments in our national security,” Murphy said. “I fought for a seat on the Appropriations Committee because I knew how important it is for our state to be in the room when these decisions are being made. “Once again, this shows that our country relies on Connecticut to make the machines that protect our country. We should be proud that our workers set the standard. With this, plus critical support for senior workers, mental health care, and addiction, we were able to get some really important things in here. “However, I have two serious reservations about this bill, and I am putting my colleagues on notice that I am going to keep pressing on them in the coming months. First, it is absolutely outrageous that the Trump administration has indicated it believes the money in this bill can be used to fund their dangerous plan to give guns to teachers. ... Second, this bill continues our failed strategy of giving a blank check to the Saudi-led coalition that is currently responsible for a humanitarian disaster in Yemen. It’s long past time that we recognize that every civilian death in Yemen has an American imprint, as it is our weapons, targeting assistance, and refueling that are facilitating the campaign. I will keep fighting to put an end to this disaster,” Murphy said. In addition, the bill provides funds for combat rescue Sikorsky helicopters, material development research, undersea warfare applied research and development for next generation heat exchangers. Posted in The Bristol Press, General Business, Manufacturing on Monday, 1 October 2018 20:40. Updated: Monday, 1 October 2018 20:42.